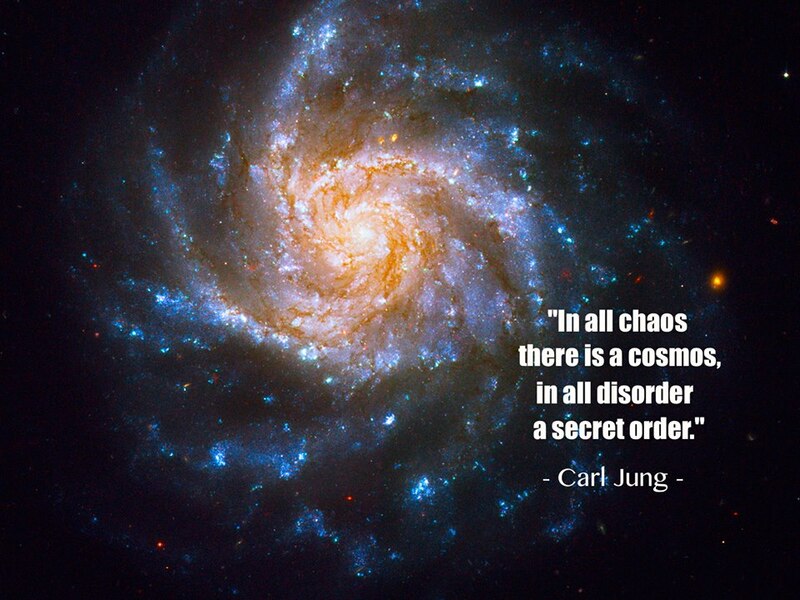 “In all chaos there is a cosmos, in all disorder a secret order. Every civilized human being, whatever his conscious development, is still an archaic man at the deeper levels of his psyche. Just as the human body connects us with the mammals and displays numerous relics of earlier evolutionary stages going back to even the reptilian age, so the human psyche is likewise a product of evolution which, when followed up to its origins, show countless archaic traits. A more or less superficial layer of the unconscious is undoubtedly personal. I call it the “personal unconscious.” But this personal layer rests upon a deeper layer, which does not derive from personal experience and is not a personal acquisition but is inborn. This deeper layer I call the “collective unconscious”. I have chosen the term “collective” because this part of the unconscious is not individual but universal; in contrast to the personal psyche, it has contents and modes of behaviour that are more or less the same everywhere and in all individuals. The great decisions of human life have as a rule far more to do with the instincts and other mysterious unconscious factors than with conscious will and well-meaning reasonableness. The shoe that fits one person pinches another; there is no recipe for living that suits all cases. Each of us carries his own life-form—an indeterminable form which cannot be superseded by any other. We are living in what the Greeks called the right time for a “metamorphosis of the gods,” i.e. of the fundamental principles and symbols. This peculiarity of our time, which is certainly not of our conscious choosing, is the expression of the unconscious man within us who is changing. Coming generations will have to take account of this momentous transformation if humanity is not to destroy itself through the might of its own technology and science. My interests drew me in different directions. On the one hand I was powerfully attracted by science, with its truths based on facts; on the other hand I was fascinated by everything to do with comparative religion… In science I missed the factor of meaning; and in religion, that of empiricism. Everything that irritates us about others can lead us to an understanding of ourselves… We should not pretend to understand the world only by the intellect; we apprehend it just as much by feeling. Therefore, the judgment of the intellect is, at best, only the half of truth, and must, if it be honest, also come to an understanding of its inadequacy. Motherlove… is one of the most moving and unforgettable memories of our lives, the mysterious root of all growth and change; the love that means homecoming, shelter, and the long silence from which everything begins and in which everything ends. Intimately known and yet strange like Nature, lovingly tender and yet cruel like fate, joyous and untiring giver of life-mater dolorosa and mute implacable portal that closes upon the dead. Mother is motherlove, my experience and my secret. Why risk saying too much, too much that is false and inadequate and beside the point, about that human being who was our mother, the accidental carrier of that great experience which includes herself and myself and all mankind, and indeed the whole of created nature, the experience of life whose children we are? The grasping of the whole is obviously the aim of science… but it is a goal that necessarily lies very far off because science, whenever possible, proceeds experimentally and in all cases statistically. Experiment, however, consists in asking a definite question which excludes as far as possible anything disturbing and irrelevant. It makes conditions, imposes them on Nature, and in this way forces her to give an answer to a question devised by man. She is prevented from answering out of the fullness of her possibilities since these possibilities are restricted as far as practible. Co-creator and Admin of the Facebook pages "Tao & Zen" "Art of Learning" & "Creative Systems Thinking." Majored in Studio Art at SUNY, Oneonta. Graduated in 1993 from the Child & Adolescent Development program at Stanford University's School of Education. Since 1994, have been teaching at Seinan Gakuin University, in Fukuoka, Japan. 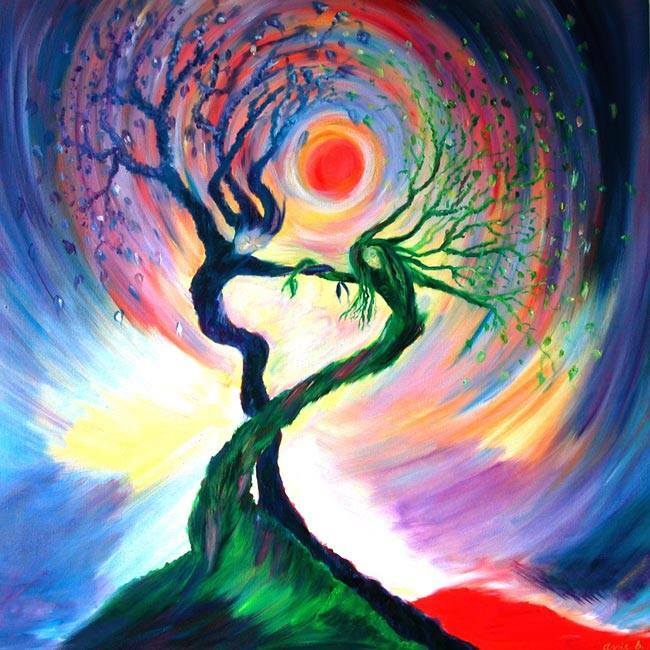 This entry was posted in Creative Systems Thinking and tagged carl jung, connectedness, creative by nature, creative systems thinking, ecology, imagination, interdependence, wisdom. Bookmark the permalink. Reblogged this on Creative by Nature.